This Contestant comes as a Mom and Daughter team. 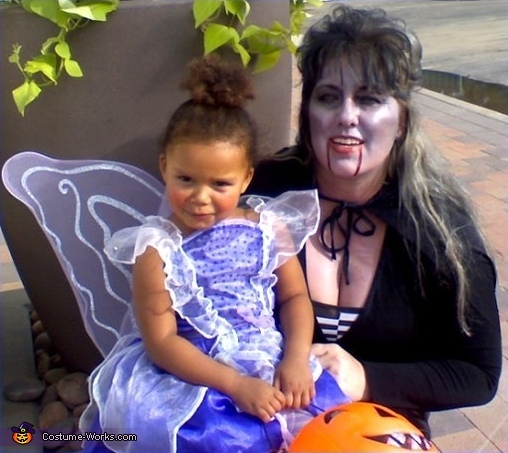 Mom, Flower, is the dark half as a chilling Vampiress Daughter, Keilani, is from the lighter side, as an adorable Lavender Fairy. I think that between the two they balance each other out nicely.